Established in 2011, Potters Beauty Barn is a beauty salon design with your relaxation in mind. A friendly, relaxing environment is the perfect setting for a Beauty Salon. Close to Romsey, Chandlers Ford and Winchester, I offer a wide range of treatments including massage, waxing, nail treatments, tanning, beauty and much more all inside the private salon environment. Beauty therapy is a lot more than just the treatments for me. It’s about making sure every client leaves feeling relaxed, cared for and better about themselves. I’ve always know this was the career for me and I now have over 17 years experience working in the beauty industry. I make sure I stay up to date with the latest beauty treatments and training to ensure my clients get the best treatments out there. I also use the most celebrated products in the business. 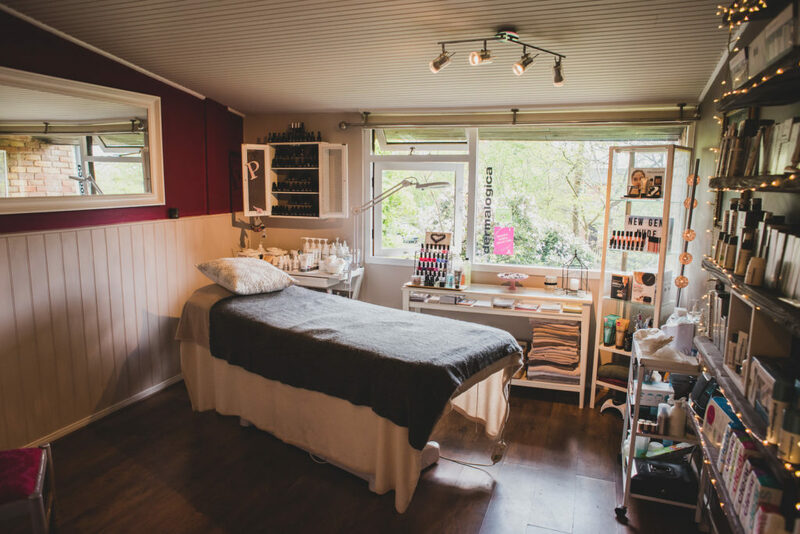 Such as Dermalogica, bareMinerals, Jessica, Fake Bake, GELeration and Eco by Sonya so you can rest assured that visiting Potters Beauty Barn will leave you totally relaxed and rejuvenated. Call today for an extra special experience on 02380 277 826 to book an appointment, or you can email Gemma here.